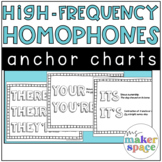 This is a set of anchor charts reviewing commonly confused words and homophones, including: it's vs. its your vs. you're their, they're, vs. there to, too, vs. two who's vs. whose a vs. an then vs. than Use them to display on a bulletin board or teach them one at a time for mini lessons! 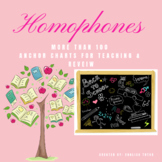 This package contains more than 100 pages of Homophone Anchor Charts. 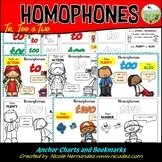 Each chart contains the homophone, definitions and words used in a sentence. 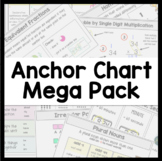 They have been designed to be used with grades 3 - 10. 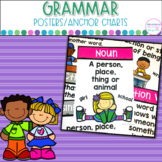 They are editable, and can be used as a word wall, if desired. 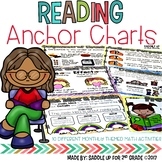 Use this anchor chart to introduce and review skill. 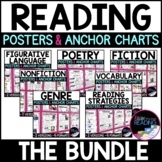 Display in center/station area. 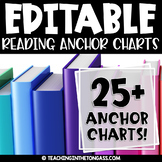 This chart can be printed and enlarged or taken to your local Staples! 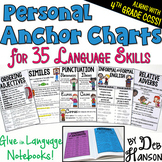 Anchor chart posters are great visuals to use in your classroom to show what skills you are currently focusing on. 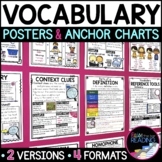 This is a set of 45 colored and black and white posters that cover comprehension, vocabulary and fluency skills. 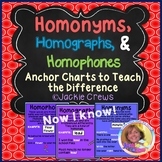 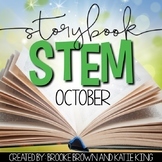 You may print them to display in your classroom or use on a focus wall.